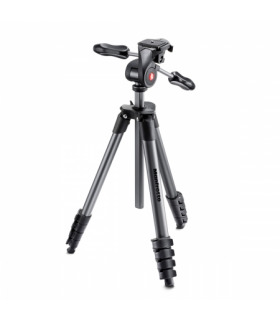 Tripod very suitable for compact cameras. 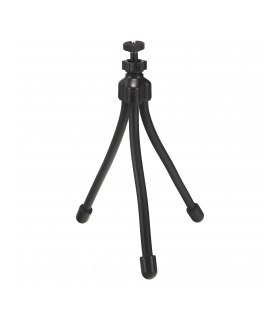 The legs consist of 3 sections and have rubber feet. 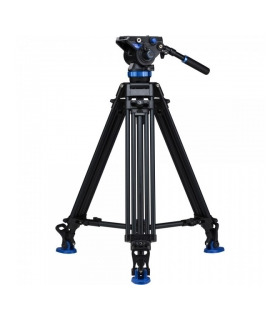 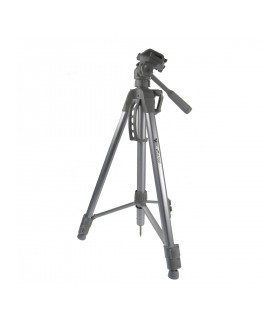 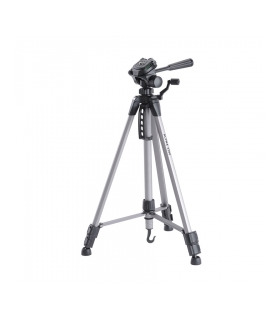 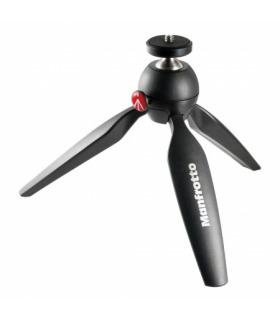 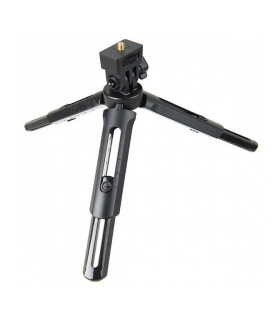 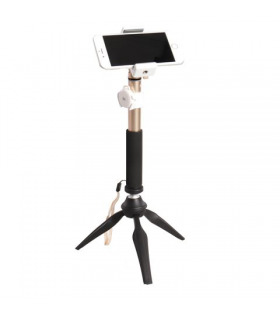 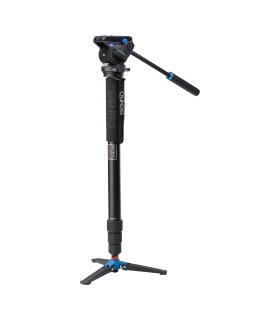 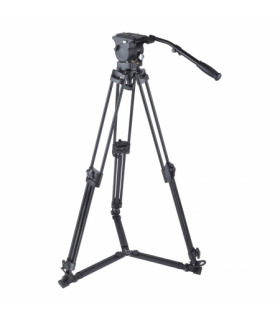 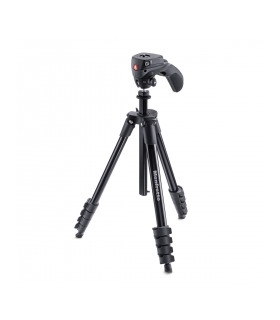 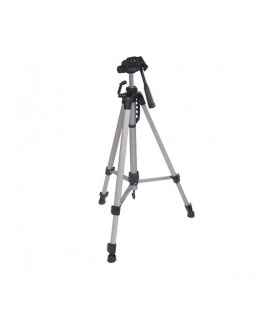 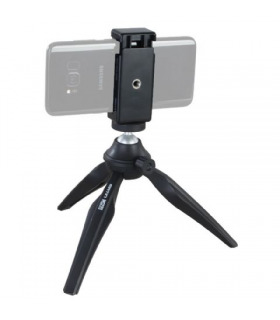 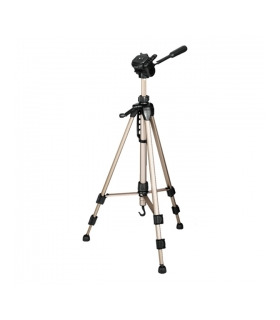 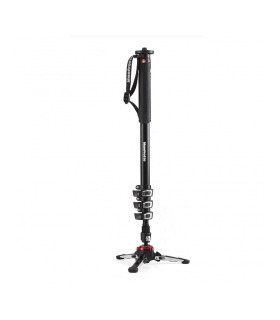 Besides that the tripod has a 3-position swivel head with quick release plate. 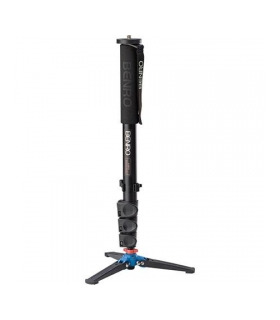 Comes with bag and Full Color packaging.